Gin Gliders recommend that rescue installation is performed properly by a competent person. The length of the strap connecting the rescue deployment handle to the rescue inner container should be checked. The strap should be sufficiently long enough that the reserve can be extracted without the danger of the pins not being pulled before the strap tightens on the reserve, but not too long that there is excessive slack that extends the movement so that the pilot could end up pulling upwards rather than out. 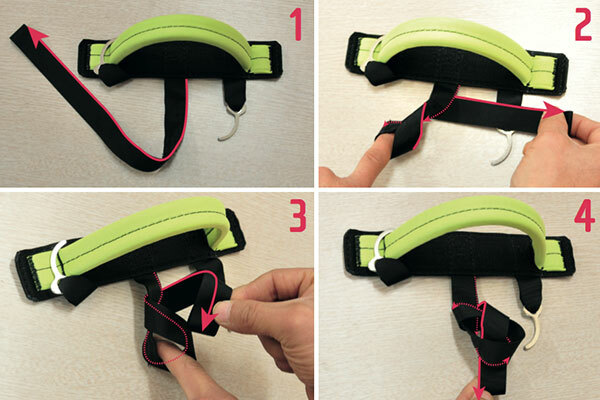 In specific installations where the strap needs to be shortened, it can be done so using the knot as in the photos. All owners who have not already performed a deployment test to check the compatibility of harness and reserve parachute are recommended to do so. If in doubt, they should have the installation checked by a competent person and contact their local Gin Gliders dealer if further questions arise.